From all directions, take Uriah Butler North exit off CR Highway onto Eastern Main Road(EMR). At EMR, head East. Take Maracas Royal Road (on left just before La Hoya Complex) towards Maracas St. Joseph. Proceed North on Maracas Royal Road – 7 km (about 12mins.). Take Right at Santa Barbara Road (Maracas Recreation Grounds at the corner), head to the river and Main Gate. Punch Gate Code if applicable, continue about 1.5 km. Continue past the Estado Nuevo Gate. Turn left immediately after orange house with red roof. Follow the road to the end. This is the first road on the left after the gate. There is a $20 charge per vehicle. Food on sale after the run. 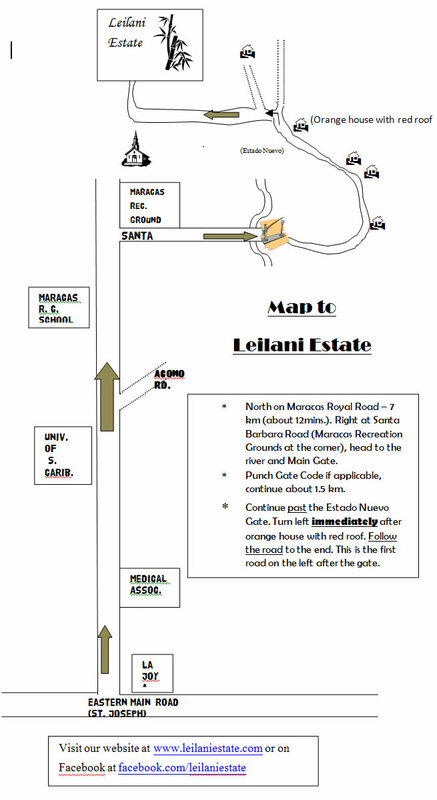 Payment can also be made for a space on the big bus to the Moruga Hash (March 29th). Cost TT$100 to Asha (310-0085). Leaving Movie Towne in POS and beer on board.